In the battle between science and faith, it’s FAITH that always comes out victorious. This is the story of perseverance, love and faith. 7 months after Matthew and Danielle got married a horrifying motorcycle accident put their love and Danielle’s humanity to the test. 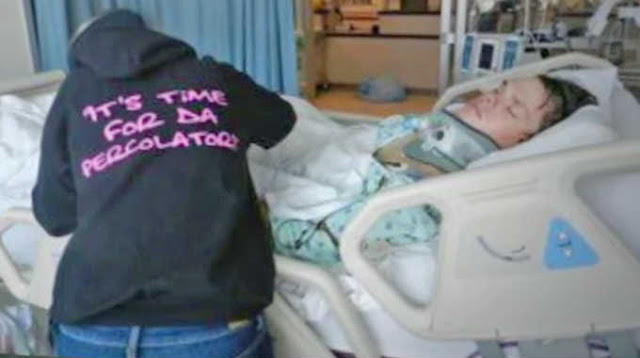 Even though doctors tried to convince her that Matthew’s injuries were so severe he would never regain consciousness, she refused to take their advice and pull the plug on his life support, and instead dedicated her life to making him beat the odds. Watching Matt today gives me chills knowing that had it not been for his wife’s faith in God, he would have just died without a chance to fight.